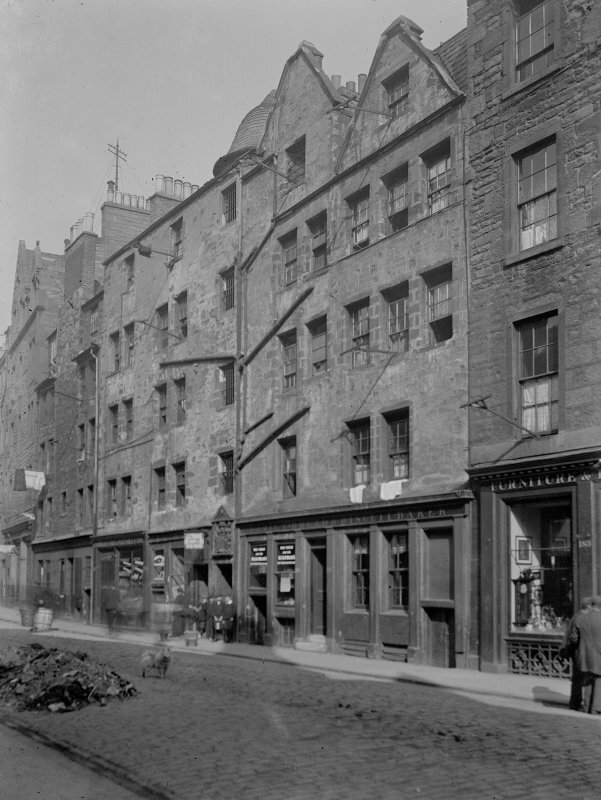 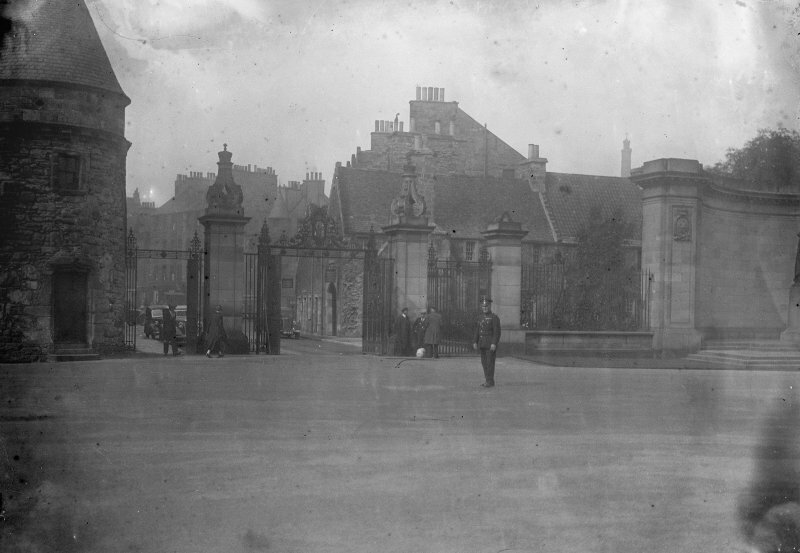 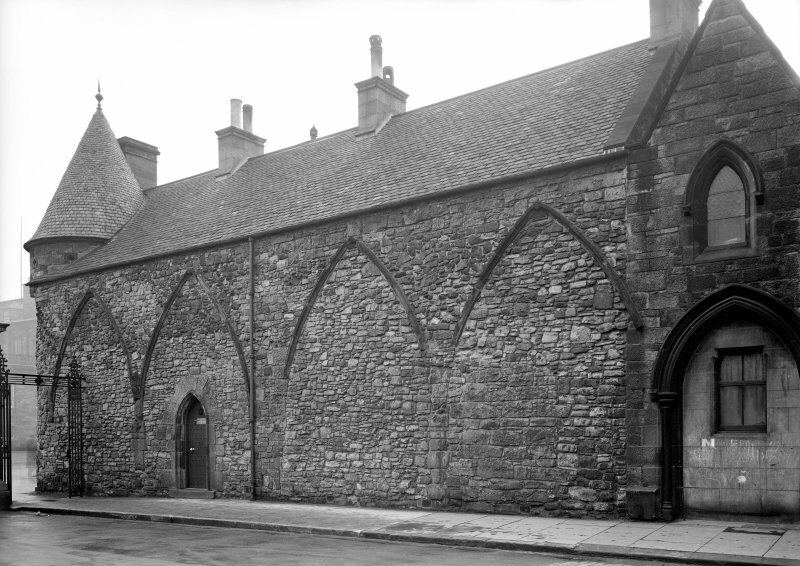 Edinburgh, Holyrood Abbey, Abbey Court House. 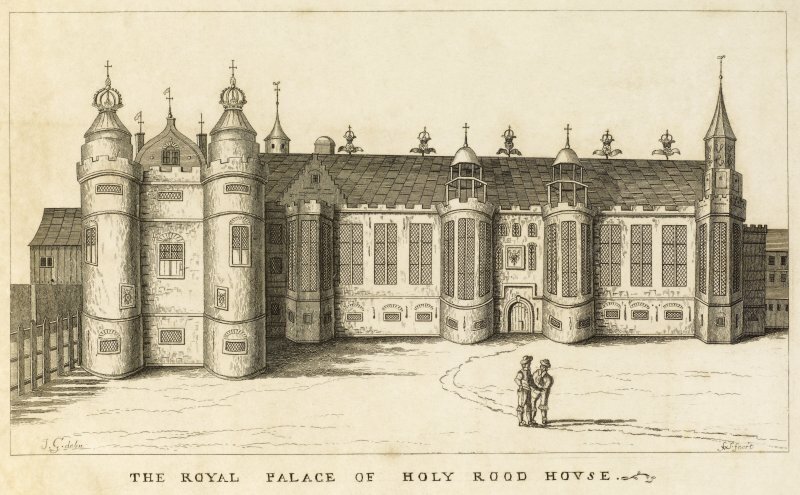 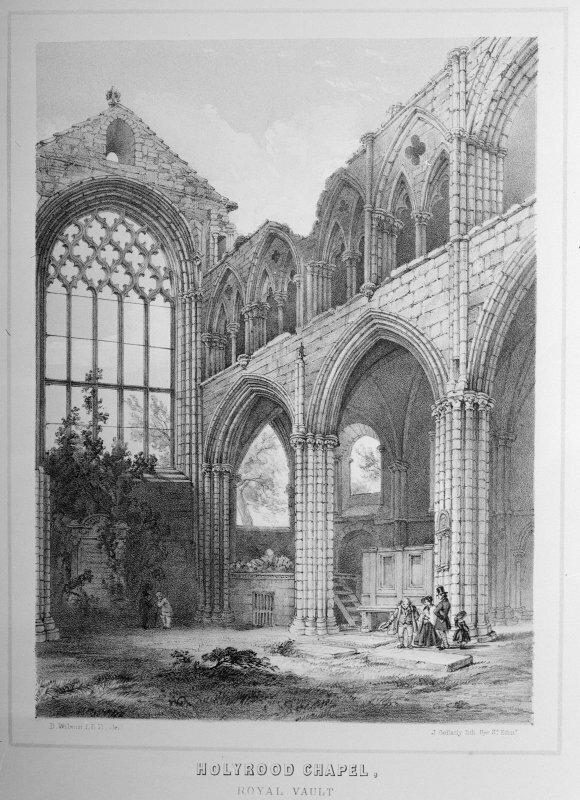 Drawing showing ruins. 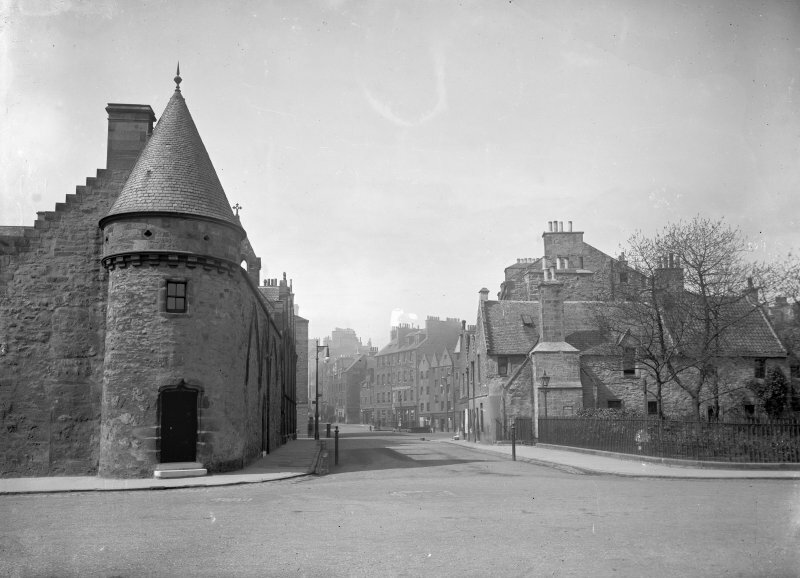 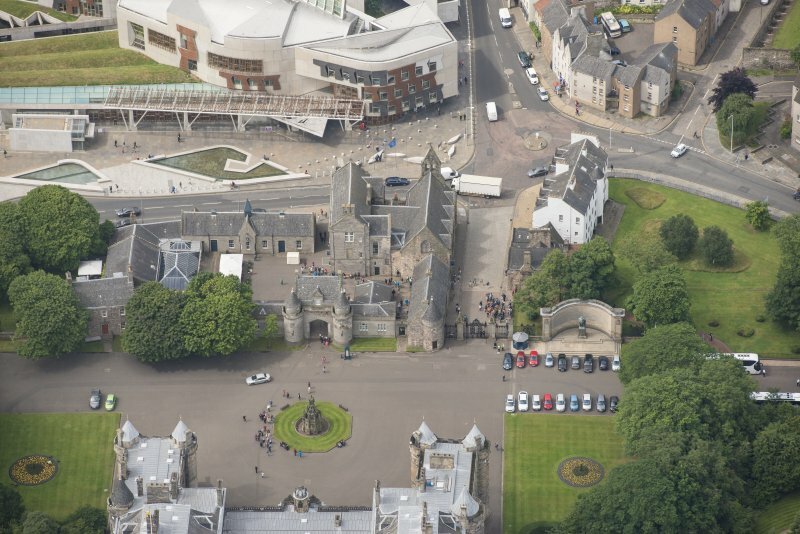 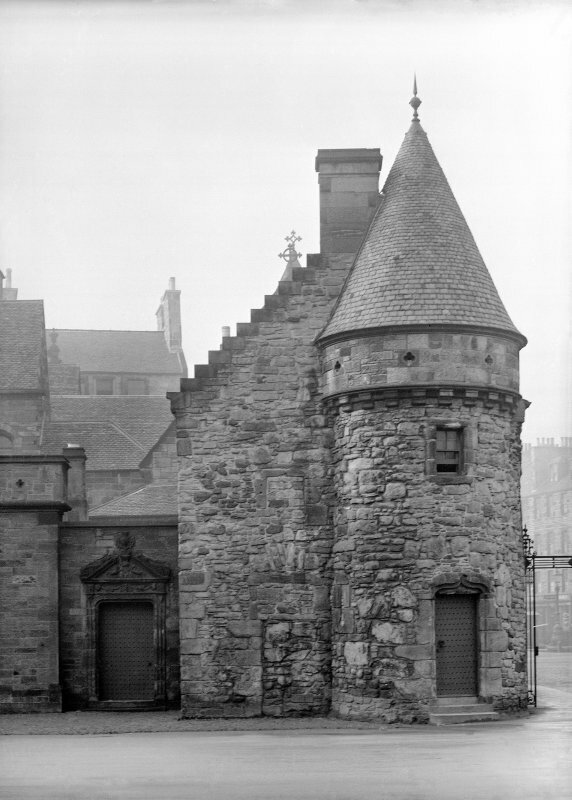 Oblique aerial view of Holyrood Palce gatehouse, Abbey Court, Holyrood Palace Yard fountain, Memorial to King Edward VII, Thomson's Court and 11, 13, 15 Canongate, looking WSW.